Slowing domestic manufacturing, a general global downturn in the oil and gas industry, a relatively strong US dollar, slow global growth, Brexit and volatility in US equity markets, as well as uncertainty regarding the incoming government’s trade and fiscal policies have made forecasting the general state of the materials handling sector in the USA over the coming year a tricky business. Melissa Barnett looks at how 2017 could shape up for the industry. Those at the working end of materials handling are cautiously optimistic, believing that the sector is in for some measure of growth. Industry organisations and most of the financial institutions agree, predicting that the US economy will experience a mild rebound in 2017. However, despite a number of companies reporting good sales performances in 2016, both MHI and Forbes have forecast a significant decline in new machinery and equipment orders in 2017. MHI’s MHEM report noted that materials handling growth slowed significantly in 2016 and the trend could continue in 2017. The Forbes’ end-of-2016 report stated that orders for machinery and equipment had dropped 5% over the last 12 months, driven mainly by the decline in the oil and gas sector, but that non-petroleum based businesses were also hesitant to spend. There seems to be some disagreement by market analysts as to whether US exports will improve in the coming year. Wells Fargo Securities has predicted a continued decline in US exports, but Forbes analysts suggest that if the US dollar weakens, there may be slightly stronger export growth in 2017. Machinery and equipment currently account for 29% of US exports. Liz Richards, CEO of the Material Handling Equipment Distributors Association (MHEDA), sees the industry remaining strong through the year, much of it driven by e-commerce and the continued demands for automation. "The industry is generally optimistic that the new government administration will be pro-business and anti-regulatory," Richards adds. Keith Miller, Cascade Corporation’s director of sales for USA, Mexico, Central and South America, predicts "robust" performance. "Cascade Corporation’s sales in the last quarter of 2016 were very favourable across all product lines. 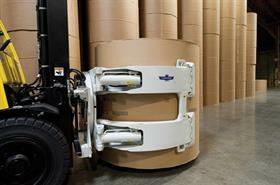 We’re seeing greater developments in logistics and transportation companies and, as these industry sectors grow, the need to move product with materials handling equipment also increases," says Miller. Roland Anderson, president of AGV manufacturer Amerden, says that the last quarter of 2016 was very good for the company, with sales of USD1.5 million. He expects to be busy in 2017 and hopes that the economy will improve generally under the leadership of a new president. The US dollar is strong, he says, and if it continues to stay that way, it will help materials handling manufacture and distribution domestically. Hoist Liftrucks, manufacturer of high-capacity forklifts, anticipates 2017 to be a very robust year for equipment manufacturers. Stu Jacover, vice-president of strategy and development, says that Hoist finished 2016 with strong growth, particularly in the port and cushion tyre product ranges and expects sales to continue on this path. He adds that improving the competitiveness of domestic manufacturers is critically important. "When European manufacturers sell their products into the US, there are no tariffs or duties levied against them, unlike US companies selling into Europe. 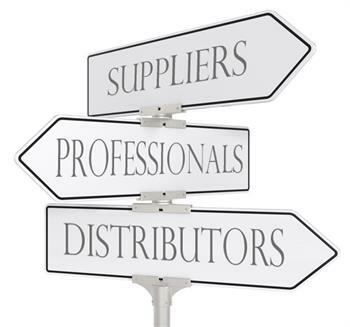 We would like to see a level playing field for domestic manufacturers who source (locally) to build quality products. This can be effectively achieved through trade policies and other measures," Jacover says. James J Radous, president of Unicarriers, is also very positive. "Sales were up through the last quarter of 2016, finishing the year on a strong note – we have re-forecast sales expectations in 2017 to be even more positive than originally forecast. The industrial sector, as motivated by the overall business sector, has recently changed its tune (partly due to the presidential election) and the arrow continues to point upward - advancing a seventh consecutive year of growth," says Radous. He also hopes that new trade agreements promised by the incoming government will help improve the outlook for US exports. "Those of us who produce in the US and export to our neighbouring countries need to be able to do so unencumbered," he explains. The fact that overseas businesses are keen to launch in the USA indicates that manufacturer confidence remains strong. 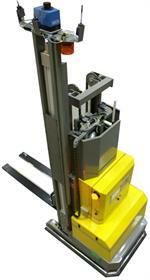 Italian forklift manufacturer Carer launched in the US 24 months ago. Eric Halfnights, dealer developer for Carer, says that despite the short length of time the company has been in the US and that it is still developing a sales and dealer network, he is expecting significant sales growth in 2017. Continuing the optimistic trend in sales during 2016 is forklift manufacturer Big Joe. Bill Pedriana, director of sales and marketing, says the last quarter of 2016 was a record sales quarter for the company. "Some of the demand we attribute to the election season concluding and many companies waiting for resolution, spending budget ahead of the year end. At the beginning of this year, we expect a bit of a lull as the new administration finds its footing and more clarity is provided businesses on go-forward policy. Once we get beyond this period, we expect to revert to solid demand and again achieve double-digit growth in 2017, given the relatively good background conditions and our ability to execute our market strategy," Pedriana says. Which market sectors are tipped to improve in 2017? Automation is a growing trend in the materials handling industry and this is not expected to change in 2017. MHEDA’s Richards believes that the increasing demand for automation is driven by a shortage of skilled labour that the organisation doesn’t see reversing. "In fact, we believe it will worsen and continue to impact companies in need of skilled, technical workers," says Richards. Automated operator enhancements is an area that Cascade continues to explore, specifically in regards to reducing equipment and product damage. "We are looking at solutions, such as less driver input and improved overall operation, to help reduce damage," says Miller. Anderson believes warehousing is on the up and hopes manufacturing will increase too. Radous strongly agrees: "The new administration is placing a premium on manufacturing in the United States. Rewarding onshore activities could have a profound and positive impact on our business and the manufacturing sector we serve," he says. Manufacturing, retail and distribution are all in a state of rapid change to drive down cost, says Pedriana. This, he says, will be achieved by enhancing safety and throughput. "We see all of our target sectors doing well given market pressures and changes in technology and government policy," he adds. 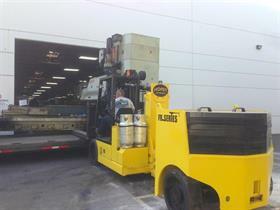 Halfnights is confident that electric forklifts will continue to gain traction in the US forklift market. 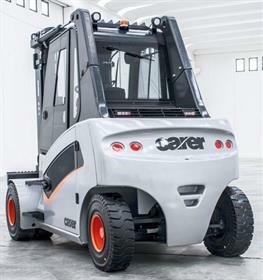 "Carer forklifts provide end-users with the ability to eliminate the production of carbon emissions; therefore, we will remain focused on industries and markets that react to more environmentally sound solutions. A good example of this market is California, where significant access to rebates are available when eliminating the production of carbon emissions," he explains. "We anticipate the steel, aluminium and automotive industries to see increased spending after several years of sluggish sales," says Jacover, noting "those sectors’ renewed confidence in their ability to compete in the marketplace." 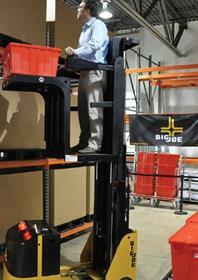 Technology continues to strongly influence the materials handling industry’s research and development. Radous is very excited at the direction that technology can take the industry. "Technology continues to advance the development of 3PL to service the sustained, rapid growth of internet sales for material goods. The continuing maturation of the Internet of Things has a direct impact on the industrial sector. Within the forklift sector, telematics continues to advance as operators are trying to manage their fleets more efficiently. While adoption is slow by most measures, telematics will ultimately make its impact," he explains. Pedriana says he is looking forward to seeing how competitors will be using new technologies such as telematics, lithium-ion batteries, autonomous technology and new form factors in equipment. Big Joe has a number of new equipment designs, some of which, he says, are radical departures from industry staples. 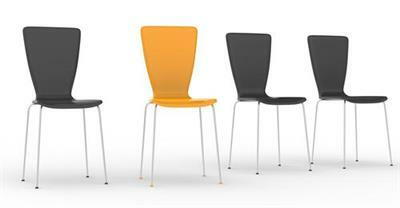 The new designs will be unveiled at ProMat 2017. 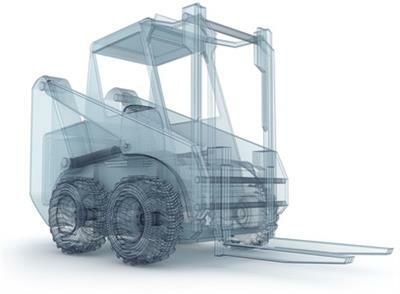 TIER4 and upcoming TIER5 emissions reduction regulations will continue to influence forklift design and innovation in 2017 and beyond. Halfnights believes any innovative solution will continue to remain a headache for the end-user, prompting demand for high-capacity forklifts. "We look forward to the release of some of the innovative components required to help offset many of the challenges end-users are experiencing with ongoing management, costs, and service requirements for TIER4 final diesel engines," he says. There are plenty of opinions on what 2017 holds in store for the US economy and, specifically, for the materials handling industry. The last word, perhaps, should be optimism as promoted by the 2017 Equipment Leasing and Finance U.S. Economic Outlook, released by the Equipment Leasing and Finance Foundation, which sees materials handling as one of the bright spots in its Economic Outlook, predicting "modest equipment and software investment growth in 2017". 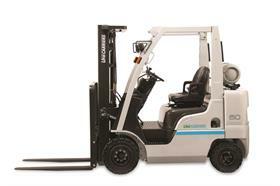 Have you considered a high capacity electric forklift?